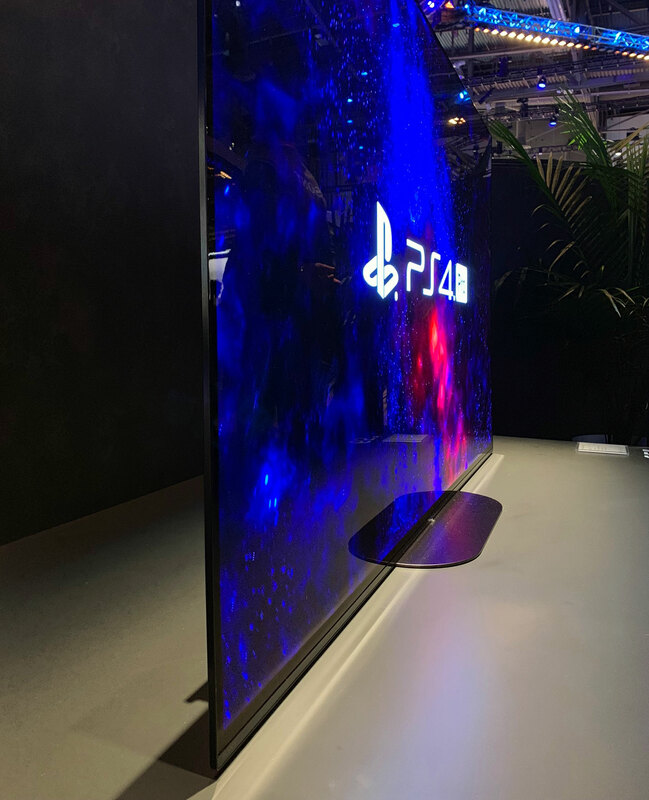 At CES 2019, Sony hosted two sessions focused on picture and audio where the company explained the technology inside and demonstrated its 2019 8K LCD, 4K OLED, and 4K LCD TVs. Here are our first impressions. The Japanese company started by laying out the philosophy of its current TV strategy that was first introduced in New York last year. Sony’s focus is to preserve the creator’s intent, meaning that the picture should be as close as possible to what the creator wanted to convey and therefore what was created in the studio. As true to the source as possible. 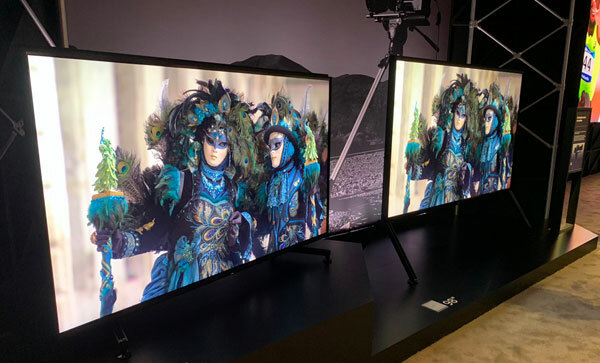 Sony sees this as a natural step forward as it is also producing the reference monitor that many of the leading Hollywood studios are using in post-production. At CES, Sony added another aspect to its “creator’s intent” message, namely sound, with reference to how audio is coming directly from the canvas in the cinema. 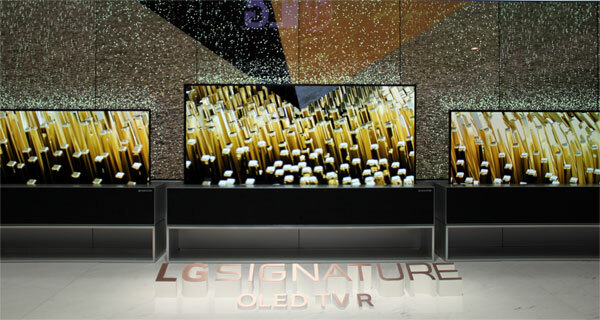 It highlighted how it has tried to achieve the same effect in its TVs by having sound emanate directly from the screen – or give the impression hereof. So, there are now two branches to the “true to source” philosophy, Sony argued. Unfortunately, we were not allowed to take photos during these sessions so the photos here are from the open booth area. The first session revolved around Sony’s new 8K TVs and the subject of 8K in general. 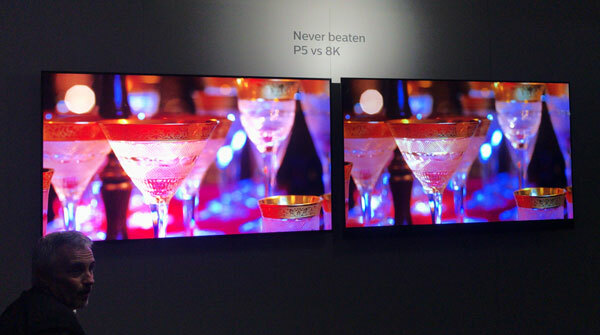 Like Samsung, Sony was eager to justify higher resolution and its decision to launch 8K TVs. While Samsung has spent a lot of time promoting “AI” upscaling, Sony took a different approach by emphasizing the relation between screen size and seating distance as well as the possibility of having an 8K panel produce smoother gradients in the picture. The first argument is based on scientific studies where people have tried to define the relation between the human eye’s capabilities and resolution. Previously, these studies suggested that the ideal seating distance for “immersion” is 0.75x screen height for an 8K TV, but Sony argues that more recent empirical studies have instead determined this ratio to be 1.2x screen height for an 8K TV. 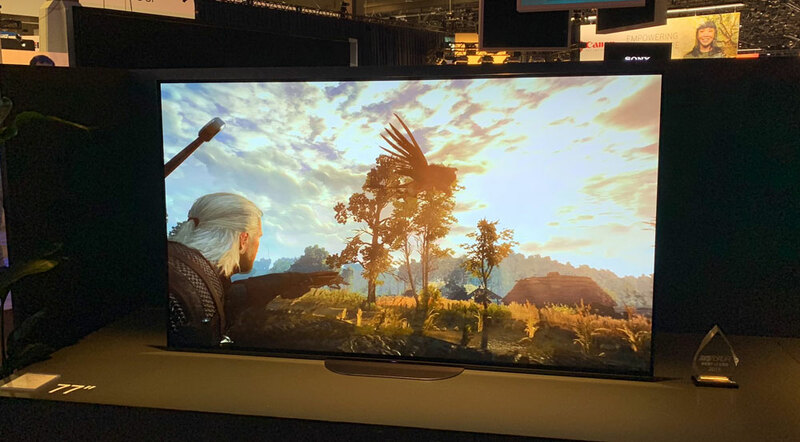 At this distance, the viewer gets “immersed”, meaning the point where you can no longer discern individual pixels but still appreciate all of those details of 8K resolution. Still, based on this ratio you end up having to sit relatively close to the screen (1.5 meters for a 100-inch TV), and this is more or less where we had positioned ourselves on the first row of chairs in the demo room. As such, Sony is trying to justify that its massive 98-inch 8K TV is a perfect fit for many living rooms but how many living spaces can accommodate such as large screen? Unless you want it to completely dominate your space, our guess is not many. With the Z9G (ZG9 in Europe) 8K TV, Sony has implemented a new audio system that expands upon the typical down-firing speakers by adding two additional channels in the top frame. Audio now emanates from both the top and bottom of the screen, which Sony believes can better emulate the experience of the cinema. Our first impression is that adding more channels certainly has an effect and Z9G performs better than the average TV. However, we need more time in a controlled environment to properly evaluate the effect. 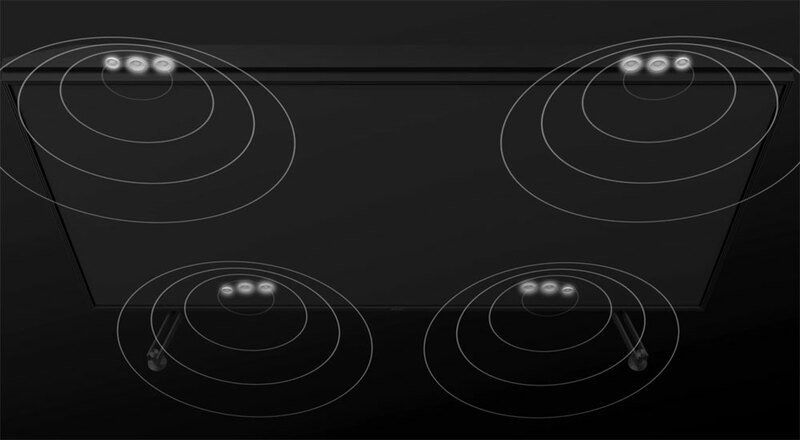 The speaker system can also – like A9F – act as a center speaker in a surround setup. Besides better audio and more pixels, Sony will reintroduce its ‘Master Drive’ backlight technology. The company most recently used the technology in its much-acclaimed Z9D (ZD9). The backlight technology offers improved control and when compared side-by-side to the current Z9F 4K LCD, it managed to significantly reduce halos (blooming) around bright objects. The panel also has ‘X-Wide Angle’, which improves the viewing angle compared to conventional VA based LCD panels. The Z9F was the first to introduce this system but it has unfortunately resulted in raised blacks. 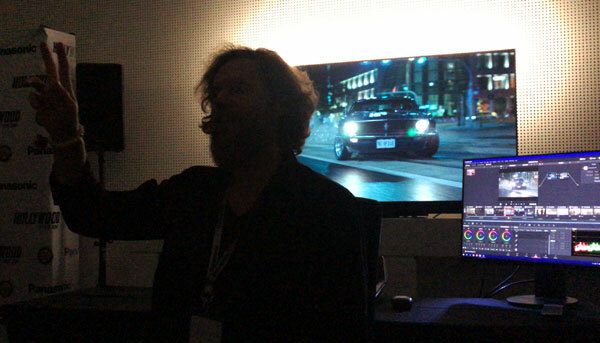 During the presentation, the new 8K Z9G manages to reproduce visibly deeper blacks than its little brother. Sony did not put much emphasis on 4K to 8K upscaling but since there is virtually no 8K content (we have seen a few examples of movies that are in the process of being remastered in 8K but it’s still not official) any type of upscaling must significantly alter the source to utilize the millions of additional pixels. In this regard, Sony emphasized that it is using upscaling coupled with an image database, which is similar to how Samsung is approaching 8K upscaling. Sony refrains from calling it “AI” but the concept is the same. While Samsung’s algorithm allows full control over the upscaling function, meaning not only parameter tweaks but the whole equation, it is a little unclear how Sony’s work. We did not have control over source or picture settings during this demo but our first impression is that it is not entirely convincing. We spotted lots of picture noise around the finer objects in the picture but, again, we want to reserve judgment until we have the remote control in our own hands. 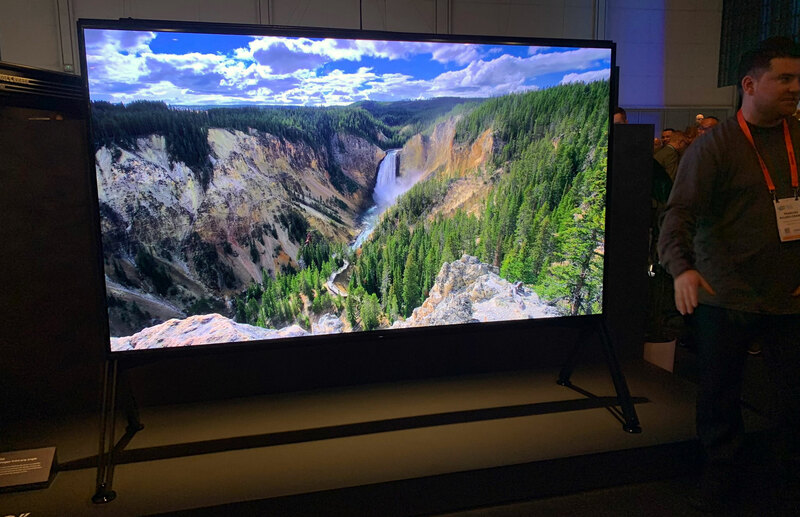 Unfortunately, the smallest 8K TV from Sony is currently a massive 85-inch model so it will take some effort to get our hands on one of them. 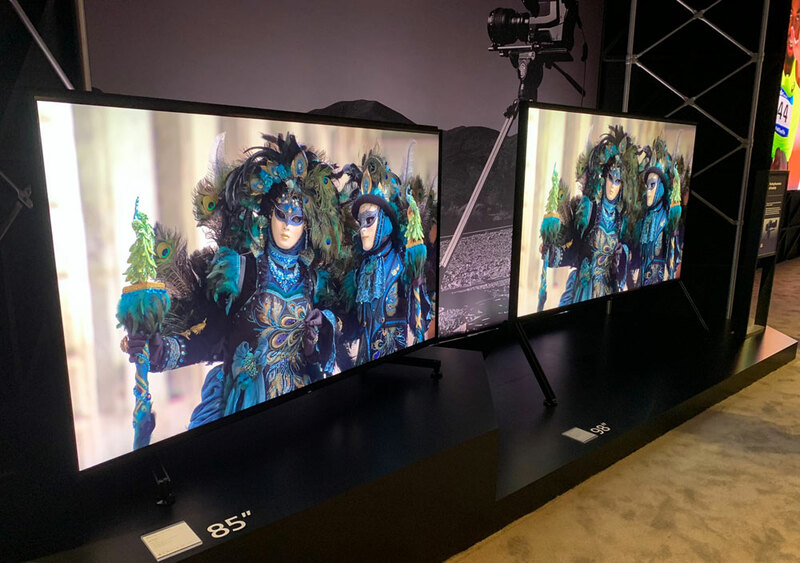 Furthermore, Sony wanted to highlight how 8K resolution can be used to translate the many bits of an HDR video source signal into smoother gradients since there are now many more pixels to work with. 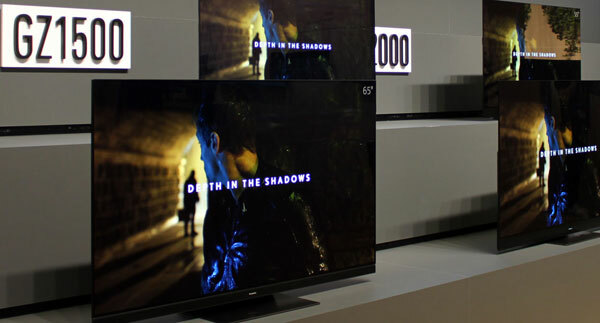 Whether Sony was successful or not, is hard to assess because its 4K TVs already have a very effective “smooth gradation” feature, and with this one enabled it have been possible to achieve good results even on previous 4K TVs. In the demo room, Sony had set up a reference monitor and in comparison Z9F and Z9G both tracked fairly close to the reference. Not perfect but certainly approved. I should also note that Z9G comes with ’X-Motion Reality’, which uses the local dimming zones to improve motion without loss of brightness meaning that the viewer can enjoy improved motion resolution without affecting the HDR picture experience. The technology was first introduced in the X90F (ZF90) model last year. Lastly, it is worth mentioning that Sony will introduce a redesigned remote control with its 2019 TV line-up. It has a metal surface on top, improved buttons, and a more streamlined design. We have been allowed to share a single photo from the no-photo back-room demo, which can be seen below. At first glance, it seems like an improvement over the previous rubber remote – that we honestly hated. However, there is still a myriad of buttons so in that sense Sony has not moved any closer to Samsung’s simplified approach. Sony says that it will be included with the Z9G (ZG9), A9G (AG9), and X950G (XG95). Z9G will be equipped with full bandwidth HDMI 2.1, according to Sony. It will be enabled via a later firmware update. The company also said that Z9G will support eARC but not VRR (variable refresh rate). The company did not comment on ALLM and QMS. Sony had brought in two of its new 4K TVs for the show. The first one was the X950G (XG95) LCD model, while the other was the new A9G (AG9) OLED model. X950G is seen as a big brother to X90F (XF90), which will carry over into 2019 for now. Starting with X950G, Sony wanted to focus on not picture but improved sound. It has two extra units in the top of the frame to try and emulate the effect of audio coming directly from the picture. However, X950G suffered from somewhat weak bass response so even though the additional channels can help lift the audio experience, it lacks punch in the deep tones. In side-by-side testing with the Samsung Q9FN, the additional speakers helped improve things but Q9FN on the other hand had a better grip of low tones, so the overall impression is a little muddy. Sony had decided not to focus on picture quality for this demo and the clips used were not suitable for evaluating picture performance in any way so unfortunately we cannot comment on how X950G performs compared to previous Sony models or competing TVs. The new OLED flagship is A9G (AG9). It will replace A9F that will be discontinued, Sony confirmed. It is very similar from a feature standpoint but will be Sony’s thinnest OLED TV to date, with a slimmer profile than even A8F (AF8). Sony has scaled down the 3-channel audio system from A9F (AF9) to a 2-channel system but it will still be possible to use the TV as a center channel in a surround setup. It did not appear to have any significant improvements in terms of picture quality compared to A9F (AF9) so at this time the most important changes are the 77-inch size and Airplay 2. Sony is also touting an improved chip for the Android part of the TV. It may offer an improvement over A9F (AF9) but we will not be able to confirm this until we get our hands on a sample. Sony informed us that Dolby Atmos support is coming to some of the 2019 TV models via a firmware update. These models are A9G (AG9), Z9G (ZG9), X950G (XG95), and X850G (XG85). The same TVs will feature HDMI eARC. Sony has not announced plans to bring Dolby Atmos support to its previous TVs. We did not see the new A8G (AG8) OLED or X850G (XG85) LCD models that will have the less powerful ‘X1 Extreme’ video processor rather than the ‘Ultimate’. The other session revolved around audio but unfortunately there was only one new soundbar to showcase. That was the HT-X8500 Atmos soundbar that tries to simulate the Atmos effect using the company’s ‘Vertical Surround Engine’. The actual product is a 2.1-channel soundbar so it has to simulate quite a few channels to create the virtual surround effect. 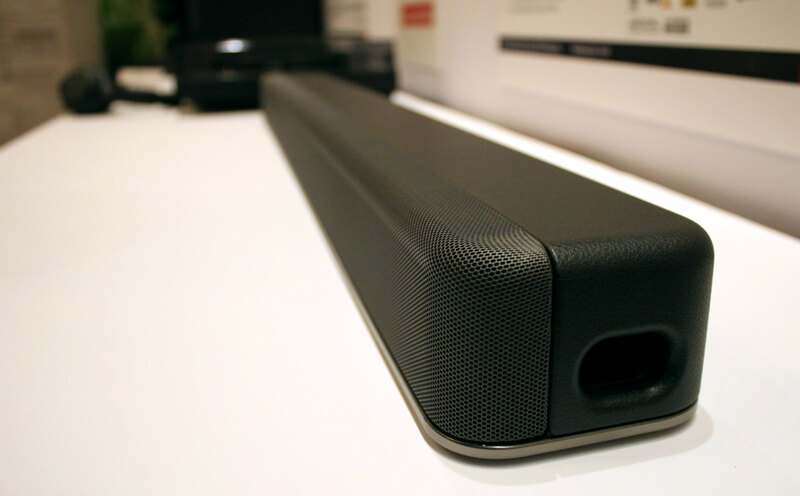 Our first impression is that it cannot compete with more complete Atmos soundbars on the market. You never actually feel that sound surrounds you but as an alternative to poor built-in speakers in TVs it may improve things somewhat. We fear that the industry is well underway in diluting the Atmos concept by putting the label on products that may not be fit enough. The flagship ST5000 soundbar was not refreshed and Sony has no intentions of adding optional rear speakers. This soundbar will carry over into 2019 and continue to occupy the top spot in Sony’s TV audio line-up. Sony also demonstrated its 3D audio (360 Reality Audio) for the first time and we came away very impressed. It is not directly related to TVs but rather music. The demo was based on a complete 3D audio set-up with speakers placed around the listening position (top and bottom) and it was capable of delivering a completely immersive experience. Afterwards, Sony measured the frequency response of the listeners’ ears – meaning how your individual ears pick up sounds around you – by inserting a microphone into the ear canal, and suddenly the same effect could be reproduced with a fairly basic set of over-the-ear headphones. Sony said that it is developing a mobile app that uses the camera to map the ear canal. The object-oriented sound came through very effectively and you were able to pinpoint audio objects in front, rear, top, and bottom. Initially, Sony will focus on 3D music by making new studio recordings and remastering content available through streaming services (at launch Deezer, nugs.net, Qobuz and TIDAL). 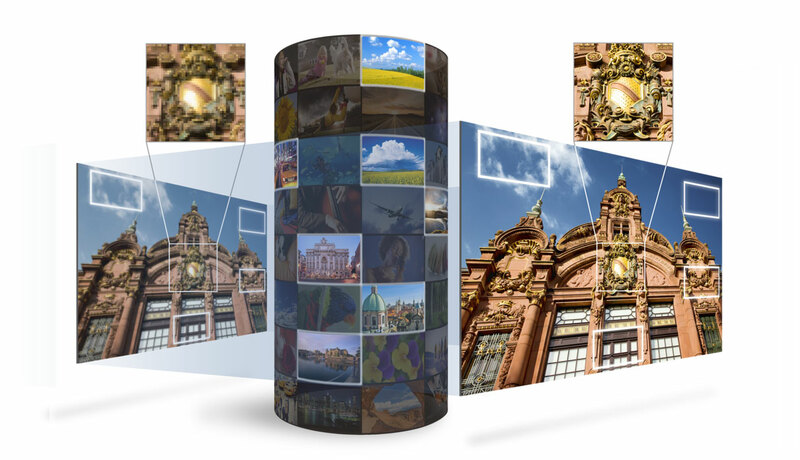 The system is based on MPEG-H 3D Audio through a partnership with the Fraunhofer Institute in Germany. You can learn more about the project here. We later visited Fraunhofer to get background on MPEG-H that can also be used in TVs. We will share more information about this visit in a later article.